What a way to celebrate a milestone... InterContinental has welcomed its 200th hotel. Shanghai Wonderland — the luxury accommodation in China’s Sheshan mountain range — has been built into the side wall of an abandoned quarry in Shanghai’s south-west and extends 88m underground. It has been nominated as one of the architectural wonders of the world thanks to its pioneering design. Shanghai Wonderland is mostly subterranean, featuring two floors above ground and 16 below ground — including two floors underwater. All 336 rooms and suites offer views of waterfalls and surrounding cliffs. Prices start from about $740 a night. “The stunning underwater loft offers two awe-inspiring levels: the landing deck at water level houses the outdoor terrace and living room, whilst the underwater bedrooms are encased within a turquoise aquarium where guests will be surrounded by the schools of fish that swim by,” a spokesperson said. InterContinental has commemorated the milestone by teaming up with Haut de Gamme’s Alexander Hall to create an art installation. The London-based contemporary artist hand-painted 200 Champagne bottles with artwork inspired by each destination — including Perth. InterContinental Perth opened in 2017. 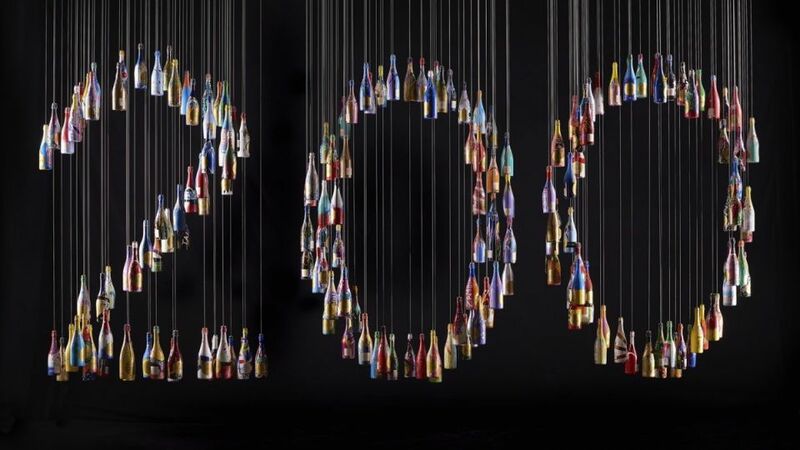 Hall’s artistic bottles are suspended together to create the number 200. To celebrate the opening of the 200th hotel, InterContinental Perth will partner with Laurent-Perrier during December to offer guests the opportunity to enjoy a bottle of Champagne for $98 or $18 for a glass. InterContinental Hotels & Resorts was founded in 1946 by aviation pioneer Juan Trippe. For more information visit ihg.com/intercontinental/hotels.